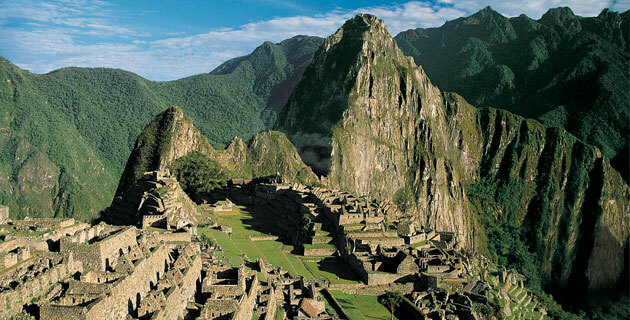 A land of treasures archaeological, cultural, and natural, Peru draws those eager to learn about the distant past – and encounter a fascinating present of colonial and indigenous influences. 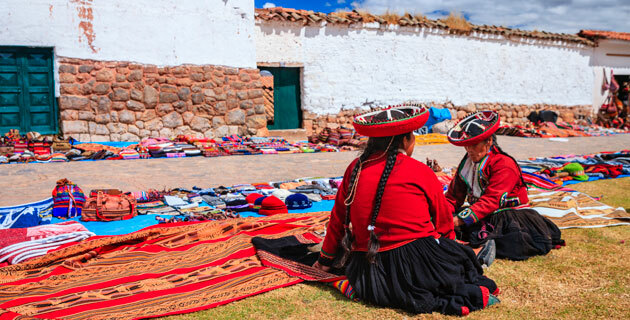 As our small group takes in some of the country’s highlights – Cuzco, Machu Picchu, and Lake Titicaca – we marvel at the riches of an intriguing land somewhat off the beaten path. Day 11: Arrive U.S. We arrive in the U.S. this morning and connect with our return flight home. Please note: This trip involves considerable walking uphill, on uneven terrain, and at sites of ancient ruins. You should be in good physical condition to enjoy the tour to the fullest. In addition, the high altitude of Lake Titicaca (12,500 feet) and Cuzco (11,150 feet) could pose problems for travelers with certain health conditions. You should consult with your physician if you have concerns. Please call if your city is not listed or for land only prices. 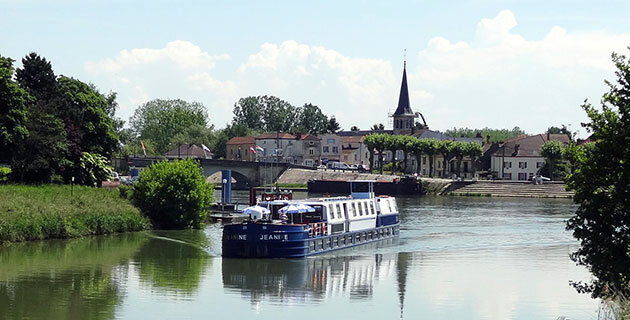 Prices are per person based on double occupancy and include airline taxes, surcharges, and fees of $592, which are subject to change until final payment is made. Situated in the heart of the Miraflores district, Casa Andina Premium Miraflores houses the works of local artisans and combines both traditional Peruvian architecture and several modern amenities. Renovated in 2008, the hotel offers a restaurant, café, and bar; fitness center; spa with massage, sauna, and beauty salon; indoor pool; Internet access; and laundry service. Air-conditioned guest rooms boast private bath with hair dryer, safety deposit box, coffee-making facilities, TV, and phone. Located in the middle of the Sacred Valley, this former monastery maintains its traditional colonial style surrounded by beautiful gardens. Hotel features include a restaurant, laundry service, and Internet access. Guest rooms have private bath (hair dryer upon request), in-room safe, TV, and phone. Tropical gardens laced with lush plantings, stone paths, and small water features surround this 83-room, Andean-style hotel. Hotel amenities include a restaurant, café, and bar; spa; Internet access; laundry and dry cleaning services; and gift shop. Individually decorated guest rooms feature wood furniture designed and handmade by local artisans, as well as private bath with hair dryer, mini-bar, TV, and phone. This historic 254-room hotel incorporates 16th-century Pizarro’s Palace and a modern addition in Spanish Colonial design. It is well located in the heart of the city, just two blocks from the main square, and offers a restaurant, café, and bar; fitness center with Jacuzzi; Internet access; and laundry and dry cleaning services. All rooms have private bath with hair dryer, air conditioning, mini-bar, TV, and phone. 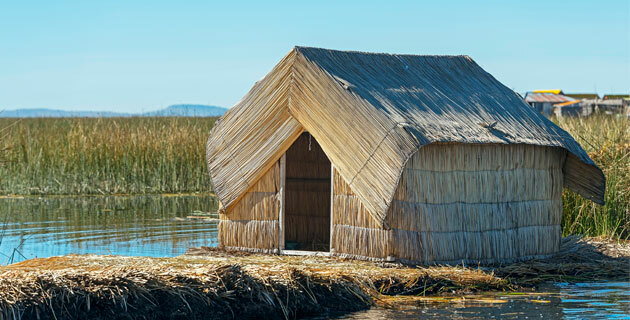 Situated on the shores of Esteves Island in Lake Titicaca, Hotel Libertador Puno stands five minutes from downtown Puno and connects to the mainland by a causeway. This 123-room hotel has a restaurant, café, fitness center with sauna and Jacuzzi, laundry service, gift shop, and Internet access. Air-conditioned guest rooms have private bath with hair dryer, in-room safe, mini-bar, TV, and phone. Opened in 2007 and located at the Lima International Airport, the 130-room Wyndham Costa del Sol Lima Airport features woodwork and walls bearing the coats of arms of Lima and Pizarro Larcomar. The hotel has a restaurant serving both local and international cuisine, a bar, Internet access, gift shop, laundry and dry cleaning services, fitness center, spa, hair salon, and indoor pool. Each air-conditioned room offers private bath with hair dryer, in-room safe, mini-bar, TV, and phone. Please note that guests on extension will overnight in Lima on Day 10. Extension not available on May 13 departure. Ken Wright’s foldout color site plan shows the monuments, topography and physical features of the Inca sanctuary with exquisite clarity. A scholarly overview of the Inca capital, its history and development, by the team leader of the Cuzco Valley Archaeological Project. An erudite guide to the cultural gems and literary history of Peru’s capital city. James Higgins, who specializes in Peruvian literature, covers the scope of the city’s history from its pre-Columbian museums, to its conquistador heritage, to its dynamic present. With the author’s photographs and reflections on the relationship of the lake-dwelling fishermen to their environment, this is an illuminating personal account of life in the Andean highlands. Wright’s handsome little tribute to Machu Picchu includes not only gorgeous color photographs but also a map, color rendering and suggestions for exploring the site. Over his head on an arduous guided trek to Choquequirao and other remote sites, Mark Adams mixes entertaining tales of his adventures (he makes himself out to be quite the accidental explorer) with analysis of the rather grand Hiram Bingham in this light-hearted “following-in-the-footsteps-of” account. Jacobs journeys 4,300 miles from Venezuela to Tierra del Fuego in the footsteps of Simon Bolivar, Charles Darwin and other explorers, describing in vivid detail the landscape and diverse cultures of South America. The classic tale of Franciscan missionaries in 18th-century Lima, Peru by the Pulitzer Prize-winning novelist. First published in 1927. Gorgeously illustrated, this authoritative guide covers nearly 20 percent of the world’s birds.